● Breathable Fabric so moisture can escape helping to eliminate mold and mildew. ● Built-in tighten rope at the bottom. ● Water-resistant and breathable,and durable. 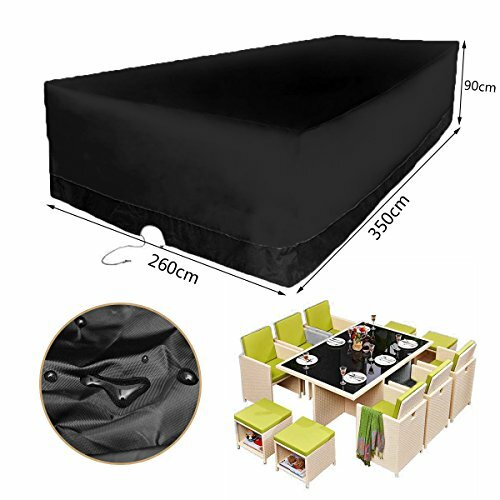 Dimensions: 350cm x 260cm x 90cm/137.8" x 102.4" x 35.4"
Protect you furniture from dust and sun, keep it clean and new.